Below is a discussion that was published almost a decade ago on the old version of Livedealer.org. 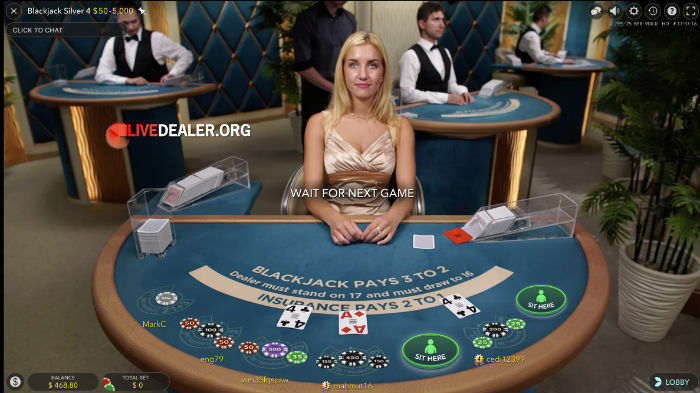 The page has since been retired (for tech reasons) but its content is still as relevant to playing live blackjack now as it was then, so thought it worth a re-post. What is a shuffle policy? Shuffle policies are an important consideration for players – and this applies to live casinos just as it does to traditional terrestrial casinos. By shuffle policy I am not talking about the thoroughness of the original shoe shuffle – this is taken as a given. What I am referring to is what point during a deck(s) / shoe deal does the re-shuffle take place. That is, where does the casino direct its dealers to insert the cut card? Why is the cut card important? The point at which a reshuffle takes place or where the cut card is placed is critical to players ability to effectively count the cards and bet to that count. This is not so much a consideration for baccarat, which is widely considered not to be a countable game (including by counting system gurus Peter Griffin and Edward Thorp), but it is very relevant for blackjack. This post could also have been titled, ‘Why counting cards playing live blackjack doesn’t work‘. 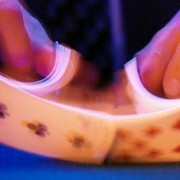 Effective blackjack counting strategies enable players to gain a mathematical edge over the house. But the extent to which this advantage may be exploited will be dependent on how deep into the shoe the deal goes. Where the cut card is placed in the back third or quarter of the shoe, counters are able to penetrate deeper into the shoe with their count, gaining more of an advantage. When the cut card is placed mid shoe or even towards the front, there is no opportunity to take advantage of any count. So in light of the above, the obvious question becomes where do live casinos (or their live games providers) cut their deck(s) and re-shuffle? No need to consult the house rules on this one – pictures tell the story. The major platforms, Evolution Gaming and Playtech, will insert the cut card and therefore change shoes around half way into the 8 deck shoe. 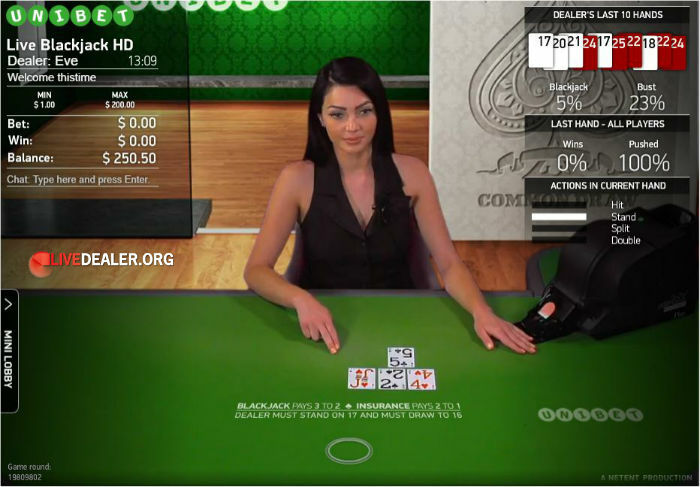 Same on Evolution Gaming blackjack tables. The red cutting card comes out with about half the shoe dealt. You can also just make out the cutting card sticking slightly out of the freshly shuffled shoe (red cards) that will be swapped in to start the next deal round. While at NetEnt a shuffle machine takes care of business..
On NetEnt live blackjack tables you won’t see any cutting cards. In fact you won’t even see any shuffling as it is completely automated using a shuffle machine. No chance to count here as the shoe (6 decks in this case) never depletes. You will see manual shuffling of the completed shoes at Playtech and Evolution Gaming. Back in the old days (8 or so years ago) the dealer would do this on the table while the game paused for a few minutes. Now the deal goes on, while a shuffler manually re-shuffles and readies the other shoe in the background (note where he inserts the cutting card). Shuffle up - Can you guess the shuffle protocal?